Sapphire Resorts Group shares why attending Las Vegas winter events such as Stetson Country Christmas create a fun spin on winter vacations. Sapphire Resorts Group invites anyone interested in the country and western lifestyle to be come be a part of Stetson Country Christmas. Las Vegas winter events like Stetson Country Christmas make this destination even more desirable, according to Sapphire Resorts Group. An industry leader in the luxury lodging business, this firm shares why this show is fun for attendees, participants and exhibitors. Beginning December 3, 2015, this western expo continues for more than a week at the Sands Expo and Convention Center. Sapphire Resorts Group invites anyone interested in the country and western lifestyle to be come be a part of Stetson Country Christmas. This Las Vegas winter event is jam-packed full of interesting sights, activities and wares for attendees. Interestingly enough, this expo coincides with the National Finals Rodeo that is held in the Thomas & Mack Center from December 3 through the 12. Cowboys and cowgirls can attend both events to get the most out their trips. Doors to Stetson Country Christmas will open at 9 am and close at 5 pm from December 3 through December 13 of this year. Attendees can shop for all things western when they come to the Country Christmas marketplace. Shoppers may find all kind of items here such as boots, furniture, jewelry, horse supplies, décor, hats and attire. Alpacas of the Southwest, Big Bend Trailers, Coats Saddlery and Rusty Spur Couture are just a sampling of some of the previous show’s exhibitors. The professionals at Sapphire Resorts Group can help arrange for shipment, if shopping goes better than anticipated. Part of what makes this Las Vegas winter event so special is the 2015 World Championship Dummy Roping for Kids. Children from all over come here to compete for prizes like saddles, a roping school scholarship, buckles and more. Contestants six-years of age and under compete on December 10. Seven to nine-year-olds compete on December 11, and 10 to 12-year-olds compete December 12. Sapphire Resorts Group recommends this event for prepared and eligible buckaroos. 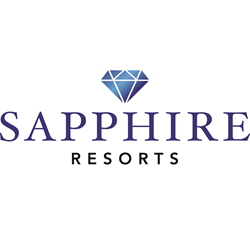 Sapphire Resorts Group shares the site for this Las Vegas winter event, the Sands Expo, is conveniently located just off the Strip. This Convention Center is massive and offers an onsite business center. Attendees can easily access all the nearby dining and entertainment options with a quick walk.